Get all the parts you need to quickly build one standing bay of pallet racking with three levels. 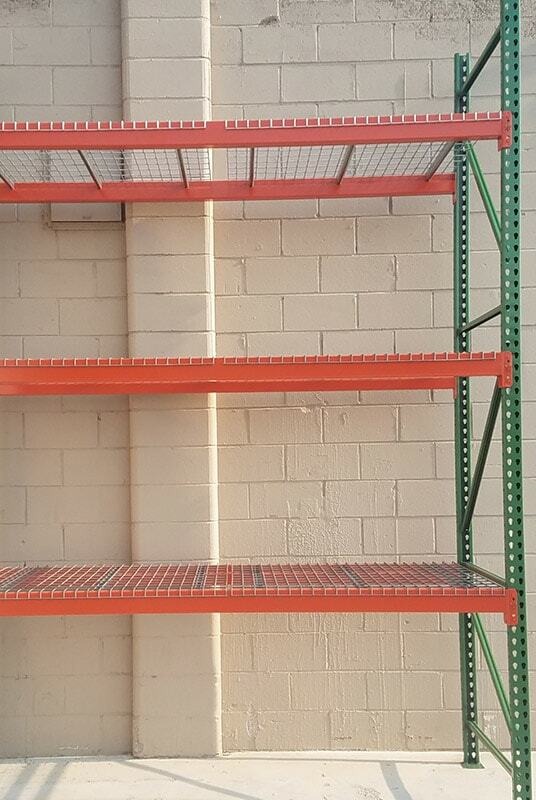 This 42" deep x 96" wide x 144" high pallet rack has 3 beam levels & wire decks for shelves. Husky pallet racking is proudly made in the USA. 2 - 42" x 144" Upright. Capacity 16,700 lbs ea @ 48" vertical beam spacing. Made of 14 gauge high grade steel. 6 - 96" x 4" Shelf Beams. Capacity 5,047 lbs/pr. Made of 16 gauge high grade steel. Add on to the Husky Pallet Rack Starter Kit with this Adder Kit. This kit allows you to add another standing bay of pallet racking to your existing Husky pallet racking. 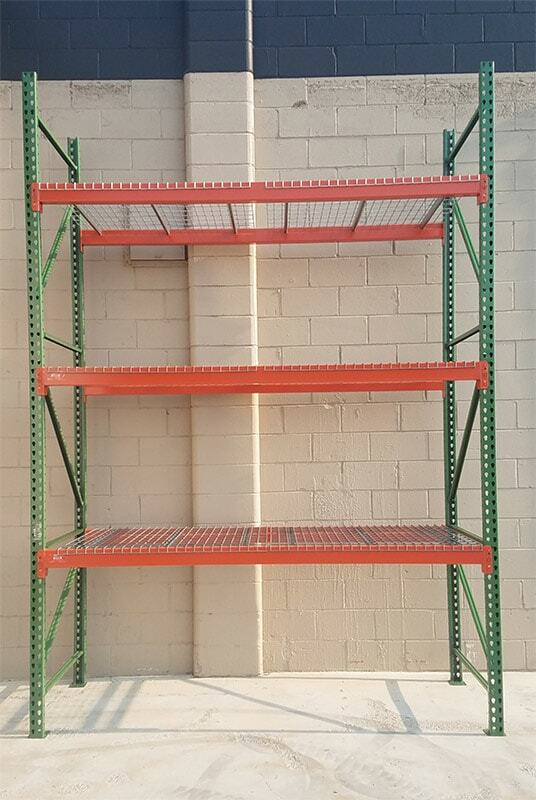 This 42" deep x 96" wide x 144" high pallet rack has 3 beam levels & wire decks for shelves. 1 - 42" x 144" Upright. Capacity 16,700 lbs ea @ 48" vertical beam spacing. Made of 14 gauge high grade steel. 6 - 96" x 4" Shelf Beams. Capacity 5,047 lbs/pr. Made of 14 gauge high grade steel. Fill out this form and we will contact you with a purchase order and make arrangement for payment. Any questions, call us at (800) 252-6401. Check out our catalog for New Pallet Rack & Equipment!